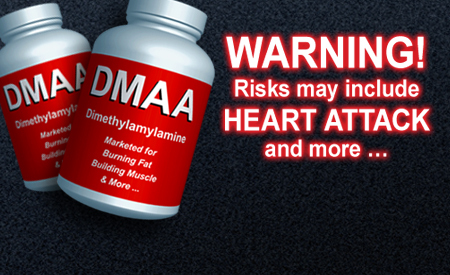 DMAA has been illegal for use as an ingredient in dietary supplements for more than 3 years. It still is, but just when you think it would be disappearing from the market, it seems to be on a slight rise again. Our online search of available dietary supplements with DMAA turned up 11 products we had never encountered before, in addition to 34 products still on the list since before DMAA became illegal. We also found 50 discontinued products with DMAA still being sold by third-party retail outlets. Unfortunately, illegal substances of all kinds are readily available on the Internet. For example, ephedra has been illegal since 2004, when FDA acted on growing reports of severe adverse events, including deaths, associated with the popular weight-loss supplement ingredient. However, products containing ephedra are commonly marketed online. Even substances on the Drug Enforcement Agency’s list of controlled substances can be purchased online. Worse, laboratory testing of dietary supplement products sometimes reveals the presence of illegal ingredients even when they aren’t listed on the products’ labels. Ingredients such as DMAA are not allowed in dietary supplements because, according to FDA, “they can be a health risk to consumers.” Stay informed, starting with the OPSS FAQ about DMAA and updated list of Dietary Supplements/Products Containing DMAA.